SOMETIME RECENTLY Google Maps updated the northeast area of Los Angeles with a curious respelling. 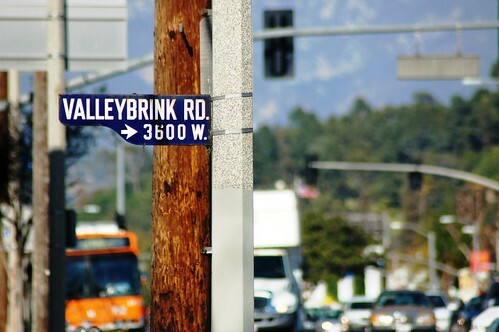 What used to be marked as Valleybrink Rd., a curvy residential street in central Atwater Village, is now split: Valley Brink Rd. In fact, when Googlers use the one-word spelling to look up a specific address along this century-old street, they're asked: Did you mean Valley Brink? No, we didn't, Google. And neither should you. THIS JUST IN: The LA Times reports 2 badly burned bodies were found early this morning in a motor home that caught fire in a parking lot near a newspaper distribution plant, 3333 N. San Fernando Road. Both victims were adults. An investigation is on. More from the LAFD. WELCOME TO the fold, Playa Vista Property Management, the 400th follower of the Atwater Village Newbie Twitter feed at twitter.com/atwatervillage. THE ANNUAL holiday party at Atwater Village dance and fitness studio Heartbeat House, 3141 Glendale Blvd., is Saturday, Dec. 12. Appetizers and bar open at 7:00pm, with dance performances starting at 7:30pm. Sure to raise holiday spirits and temperatures on this cold, wet weekend in Los Angeles. FROM THE LATEST Northeast Los Angeles Police Department newsletter: "Atwater Village: Very clear on north side above Glendale Blvd. A few BFMVs south of Glendale Blvd." No, this doesn't mean appearances by Welsh heavy metal band Bullet for My Valentine. BFMV is cop talk for "burglary from motor vehicle." Stuff stolen from cars. See crime map of BFMVs in Atwater Village. Come for the treats and drinks and prizes, stay for the visual and performing arts. Free admission and free parking. 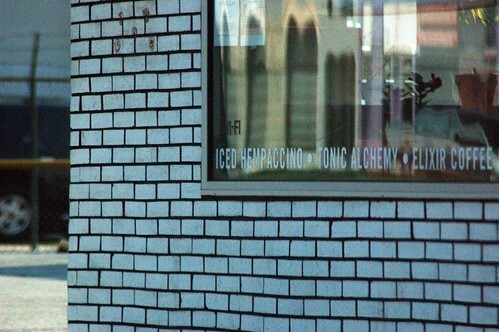 "Drove by Yoga Lab today and they have shut shop, and posted a large To Let sign on the windows. Sad to see another small business shut its doors. I never really thought that would last though. The few times I'd been in they only had 2-3 people in each class!" Word is one or more of the former Yoga Lab instructors can be found at nearby Heartbeat House. LOS ANGELES City Council President Eric Garcetti surely has been accused of worse, but this interesting exchange took place over the course of 2 interviews on Neon Tommy; one with Garcetti, one with Council Member Tom LaBonge). NEON TOMMY: Who do you think represents more hipsters, you or Eric Garcetti? TOM LABONGE: (thinks for a second) I think it's probably Eric because Eric is more of a hipster than I am. Though I could talk you up if you wanted me to. NEON TOMMY: Are you a hipster? ERIC GARCETTI: No but I represent them proudly. Garcetti may not consider himself "hip" but just over the last 3 years it's hard to ignore the extra bit of style baked into the appearance of the future LA mayoral candidate. Yes, in answering, "What's next?" Garcetti admits that one possible path "would be to look at mayor in 2013." Hipsters represent. 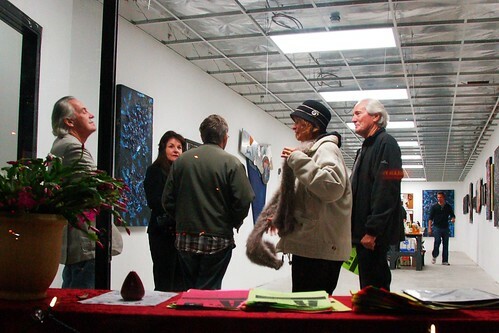 NOTED ON THE night of the Atwater Village tree lighting: The former home of Thousand Fabrics, 3229 Glendale Blvd., is hosting a 4-artist exhibit, "Forms of Abstraction 4." The show is open Thursdays through Sundays, noon to 5:00pm, now through January 2010. JUST A BIT upstream this time, around 4:00pm in the LA River as it flows (rather torrentially today) through Atwater Village, another rescue from the LAFD: 3207 W. Los Feliz Blvd., one victim needing help on land in the center of the river; not the water at this time. UPDATE: CBS2 reports that the victim "rebuffed initial attempts at rescue because he allegedly said he didn't 'want to leave his bicycle behind.'". HELICOPTERS OVER Atwater Village this afternoon. At about 12:30pm, from the Los Angeles Fire Department: River rescue, 3398 W. Riverside Dr., one victim needing help in the storm drain; not the water at this time. UPDATE: More details and video of the rescue on CBS2. Tree: Lit, originally uploaded by Atwater Village Newbie. 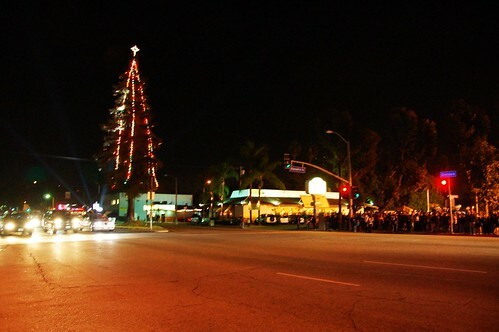 DESPITE SOME recent reports to the contrary, the 18th annual Atwater Village tree lighting is still scheduled for tomorrow, Friday Dec. 4, as part of a 4-hour holiday celebration along Glendale Blvd. Come one, come all, and hopefully this year's party will still be one of the biggest and best tree-lighting ceremonies in all of the City of Los Angeles. 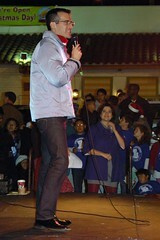 4:00pm to 8:00pm: music, treats, crafts, shops, food, snow, all along Glendale Blvd. See the agenda for the whole event, including a list of food vendors, on the AVNC forum. "My husband and I are currently building out a small meat and fish market in Los Feliz called McCall's Meat and Fish Company. We are part way through construction on a space on Hillhurst Ave. right next to Mexico City Restaurant [Google map]. "We are planning on selling amazing quality meats and seafood as well as some retail items like our favorite oils, vinegars and salts, etc... We will also offer dry aged steaks, house made sausages, and pre-seasoned and tied roasts on a limited basis. "We are really excited to be in the neighborhood and have a projected opening date set for mid January."